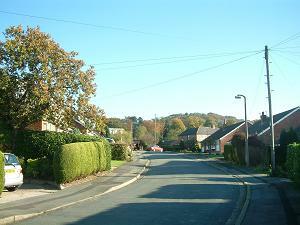 A pleasant street of bungalows and houses, four having Macclesfield canalside positions. Approach off Highfield Road or Fairfield Avenue. Nearest shops – Greenfield Road, Palmerston Street. Nearest pubs – Dog & Partridge, Holly Bush.